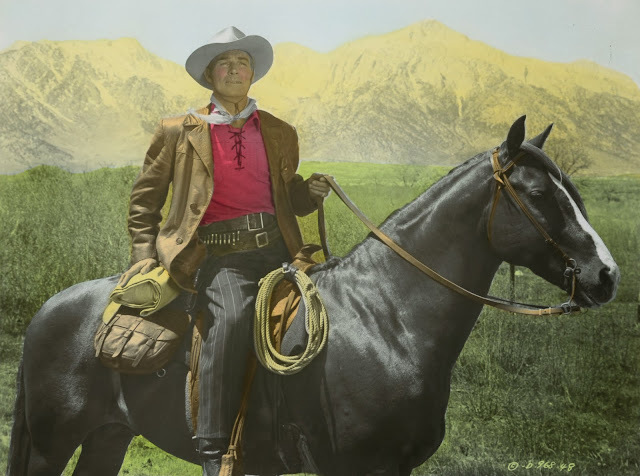 It was the same as if they'd gone into partnership selling farm tractors: Randolph Scott and Harry Joe Brown's assembly line for westerns plowed smooth for over a decade before free-TV access cleared pasture of on-riding cowboys. I count at least seventeen the pair did, and none are doggy. Obviously, the twilight group under Budd Boetticher direction stand out, but comfort seekers make little distinction; they'll watch Randy just for his being there, and knowledge of that made Scott/Brown output about a surest bet around (virtually no Scott western lost money). The Nevadan was enhanced by CineColor, a red/green dominant process that I suspect has been smoothed over by creative owners on digital duty; Retroplex HD skies look a little too blue to derive from limited CC palette (but note The Navadan went years being available only in black-and-white). Gordon Douglas directs here; until he gets credit due, there won't be much fuss over The Nevadan, but if tally were taken of Scott's, or 1950 westerns in general, it would earn mid-range to maybe high placement. Outlaw scribe Rowland Brown, he of Quick Millions, Hell's Highway, and punching out at least one producer, contributes dialogue, and sure enough, some of "lyrics" (Randy Scott's term) stand out. What really distinguishes The Nevadan is rock-to-rock tour of majestic Lone Pine location, director Douglas backing up so we can see a cast rendered ant-size against distant and snowy peaks. All this and CineColor amounts to must-see frontiering. The Nevadan is available through Columbia's On-Demand DVD service; transfer is excellent. 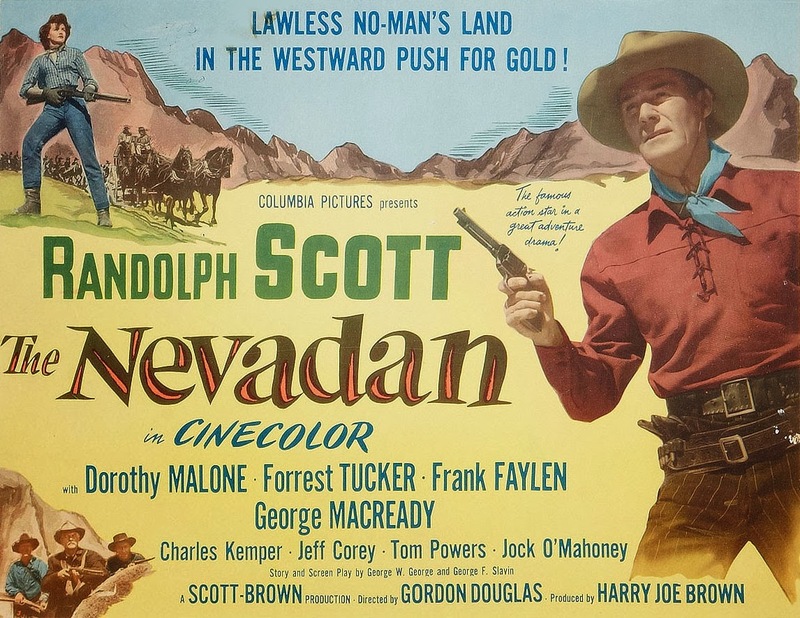 Watched THE NEVADAN on TCM a while back, and the color was gorgeous. I've got the MOD-Columbia disc and the color AND the transfer IS gorgeous!